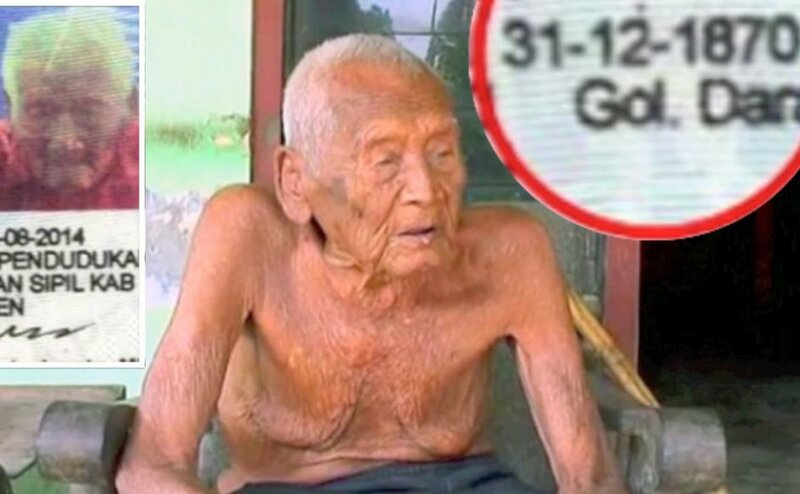 The oldest man in the world has reportedly died at the age of 146, an Indonesian centenaria. several reports said Sodimejo, who is also known as Mbah Gotho, from the Central Javanese city of Solo died on Sunday after he was admitted to a local hospital two days before. According to Channel News Asia (via Bernama), Indonesia’s Sambungmacan section deputy police chief Zaeni said while Mbah Gotho regularly received treatment at the Sragen Hospital, the centenarian often refused to be admitted. “He was admitted at the hospital before he insisted to be taken … home,” he said. Mbah Gotho’s resident identity card indicates he was born in 1870. Relatives of the life-long heavy smoker said he never suffered any critical illness and had survived his four wives, 10 siblings and three of his children. In an interview with The Jakarta Post last year, Mbah Gotho said he was looking forward to embracing death. “Life is only a matter of accepting your destiny wholeheartedly,” he said. His grandson Suyanto told the BBC (via The Independent) that Mbah Gotho was taken to the hospital late last month but discharged himself six days later. “Since he came back from the hospital, he only ate spoonfuls of porridge and drank very little,” the Suyanto said. Despite his claim to be age 146, doubts have been raised over Mbah Gotho’s exact date of birth as Indonesia only began recording births around 1900. On top of that, because his birth documents were unverifiable, his claim could not be officially recognised. Last year, the centenarian made headlines after local officials in Solo said his age was verified. Mbah Gotho also told the media at the time that he began preparing for his death in 1992 and said he wanted the words “What I want is to die” etched on his gravestone. Suyanto said the centenarian was buried on Monday morning in a plot he bought several years ago. “He didn’t ask much. Before he died, he just wanted us, his family, to let him go,” Suryanto said. If his claims are true, Mbah Gotho would have surpassed 122-year-old French woman Jeanne Louise Calment, the Guiness World Record holder, who died in 1997.